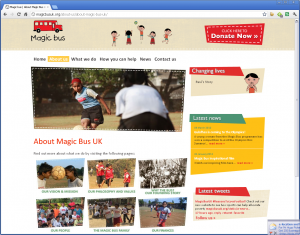 A new website for Magic Bus UK was launched on 5th March 2012 in conjunction with charity fundraising agency partner John Grain Associates. Featuring a multi-level CMS and a fun, engaging design, the site is designed to be easy to manage by the charity and simple to navigate by their supporters, fundraisers and donors. With enhanced visibility in search engines Magic Bus are off to a roaring start with their new website. 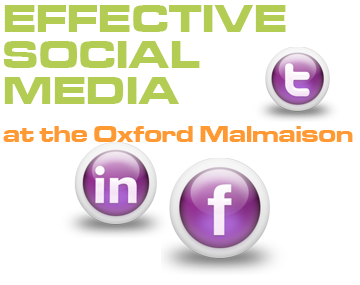 As a specialist in websites to support the specific needs of charities, I am often called upon to advise on strategies to enhance online communication channels using websites, social media and direct engagement tools such as newsletters. Please get in touch if you have an online project to discuss for your charity. Industrial cleaning and hygiene products manufacturer Cleenol approached us in early 2011, requiring a new website, since their existing one was getting very long in the tooth. Following a six-way competitive tender for the business, we were awarded the contract to create an online product database and catalogue, together with customer tools aimed at improving customer services. Working with Cleenol’s own designer who drafted the visual concepts, we developed these into a CMS managed website over which the customer has full control of all database and page content. Searchable by range and industry, customers can now find products more easily and download the appropriate datasheets and product use guides once logged in, thereby acquiring customer details. Future developments will extend the functionality of the database into CRM and ERP. If you are looking for something similar, please get in touch. Relaunching her interior design business in a new location in Salcombe on the south coast of Devon, Patricia Gilliam Interiors required a new corporate identity, literature and website. The result is a completely integrated branding approach for on and offline use, with a customised WordPress based website, business cards and brochures produced as a complete package. This approach is ideal for start-ups where budget is clearly limited, but more importantly, the resources are simply not available to manage the design, production and print, which can be outsourced as a package to someone who understands marketing, design, production and implementation. Next up is a Facebook page and other social media tools to assist in the wider community engagement. Indian power generation company OPG Power Ventures Plc are listed on AiM in London, and on advice from h2glenfern have overhauled their marketing including the production of a new CMS managed website. The site includes RNS and share price feeds as well as share price performance data from Investis. The new site offers features for shareholders and potential investors, with full reporting information and news. 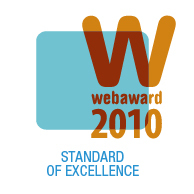 Search engine optimisation is at the heart of the website, ensuring that it is visible to widest possible audience. http://www.facebook.com/FoxNews – more of the same. These are all wonderful creatives with a central theme, but there is so much further that these brands can go if they remember that they are engaging with a community and that community is willing to engage with them, but only if there is a perceived value in doing so. In the above instances, what is the value to the user? BMW is closest, with a short list of benefits, but these aren’t exactly front and centre, are they? For a great example of a facebook app integrated into the landing page look no further than http://www.facebook.com/Starbucks where the coffee brand links directly to their Starbucks card app. http://www.facebook.com/abercrombie – although slightly confusing as there are two calls to action – the competition app and the ‘Like’ button request- it’s also not a particularly inspiring design, but certainly on-brand. The fact that a number of the best Facebook landing pages are from the USA demonstrates that the UK has some way to go in this respect. Obviously 127m US Facebook users vs. 24.2m users in the UK (source: The Neilsen Company June 2010) is significant, but brands can do more! A new luxury holiday property rental company Petersham Properties has launched, offering some of the most sumptuous and beautiful rental homes in the World. Based in the Costwolds, they work with clients to find the most suitable holiday houses for their needs, calling on a portfolio of nearly 100 houses throughout the World. There are superb holiday villas in Mustique, wonderfully exotic getaways, coastal properties, island hideways and more. Working with Petersham Properties, I provide online marketing services and consultancy, including social media development, online advertising management and Search Engine Optimisation. Archivist gallery has just launched a whole new range of greeting cards on their new website, showing loads of new designs and an online ordering system so retail and trade orders can be placed online. 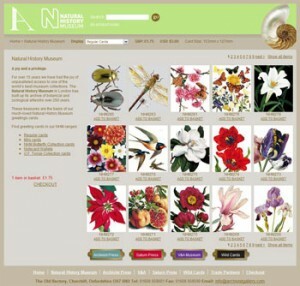 They have designs from the Natural History Museum, including a new range of ‘Wild Cards’ with an interesting new fun take on the age old designs from London’s pre-eminent museum. They also have designed some interesting cutout cards using designs from the Victoria & Albert (V&A) Museum in London, as well as loads of new greeting card designs of their own. Personally I like the Saturn Press ‘Well Said’ cards series, which are good clean fun.